(CBS/AP) PLAISTOW, N.H. - First, the man police dubbed the "remorseful robber" showed up on a woman's doorstep to return cash and a GPS he allegedly stole from her cart at a New Hampshire supermarket . Now, the "remorseful robber" has turned himself in. Police say 38-year-old Christopher Piantedosi of Burlington, Mass. 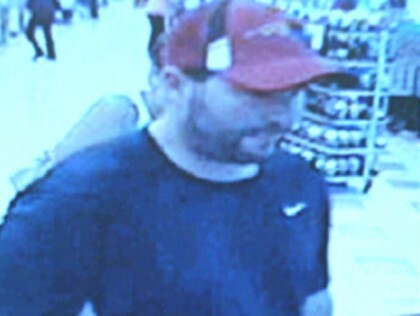 called them last week to say he was the man seen on surveillance video stealing the items in Plaistow on July 18. He turned himself in Tuesday. He was released on $2,500 personal recognizance bail on a charge of theft by unauthorized taking and is scheduled to appear in court Sept. 13. Police say days after the robbery, the suspect knocked on the 61-year-old woman's door to return $90 and the GPS, along with an apology letter he signed "stupid." We'll see if remorse equals leniency.